Founded by world-renowned South African artist William Kentridge, The Centre for the Less Good Idea is one of Joburg's most exciting new cultural projects of recent years. The 'centre' is hosted at Kentridge's expansive artist studio in the Arts on Main building in Maboneng. The fifth season runs from April 24 to 27. 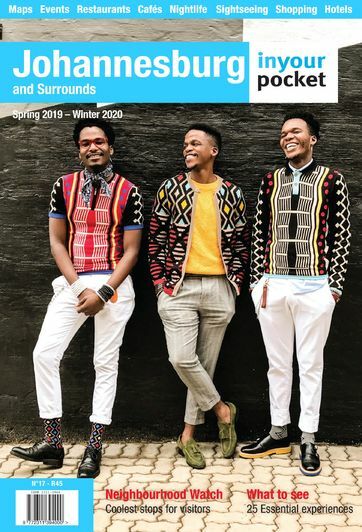 Collaborators in Season Five include National Arts Festival dance curator David April, celebrated playwright Phala O Phala, contemporary dancer Lulu Mlangeni and actress Sylvaine Strike. There are six events on the Season Five programme, as well as Invisible Exhibition, a VR film and digital art exhibition which has been brought together with the help of The Mixed Reality Workshop (TMRW) Gallery and which will be on show at the centre daily from April 24 to 28. Tickets for performances can be booked via the Centre of the Less Good Idea website. Performances take place at the Centre of the Less Good Idea at Arts On Main in Maboneng. The evening's programme opens with Imposter Syndrome, a satirical take on news broadcasting and children’s TV shows that borrows from the traditions of puppetry and stand-up comedy, followed by King-Dom Crossroads, a physical work that unpacks the ideas of tension, struggle, aspiration, and synchronicity in human relationships. 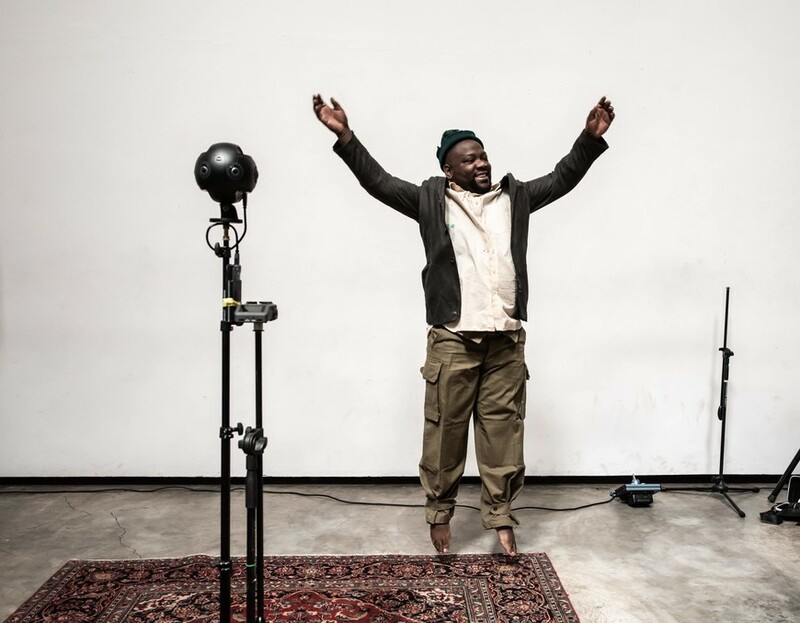 Godot-logue in Gauteng is a short sharp take on Waiting for Godot set in Joburg and told through sonic and text-based means, while Carriage of Mother is a stripped down reimagination of Brecht's Mother Courage set in a South African context. The programme ends with Sybil, a hyper-refined and condensed version of the epic opera retold through, musical, physical and visual methods. There are six performances on the second programme starring more than a dozen local performance artists, actors, professional dancers and storytellers including Lulu Mlangeni, Sylvaine Strike and Nhlanhla Mahlangu. Performances include 11 Minutes Before Assassination, which takes audiences through the suspenseful and complicated moments before an assassination and I See You! a study of the complex nature of the father-son relationship explored through music and movement. Themes: Time, water, and physicality – those ever-shifting elements of our daily lives. 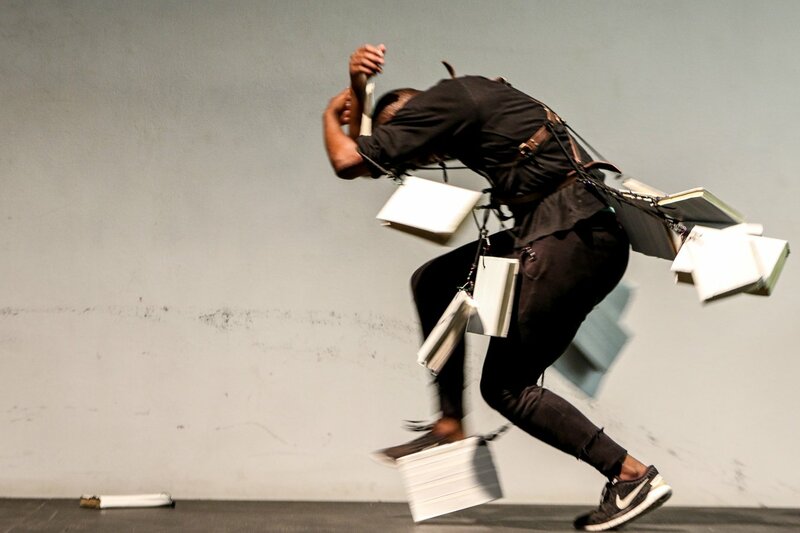 Director and choreographer David Thatanelo April and dancer Phumlani Mndebele explore the yearnings for things both lost and found in Thirst, while in Minute a Thought knowledge, heritage, and the heavy weight of time are rendered through physical theatre. In Instructions multimedia sound artists explore the possibilities of improvisation and haphazard composition while Nonqawuse, documents the life of a prophetess whose story has not always been treated kindly throughout history. 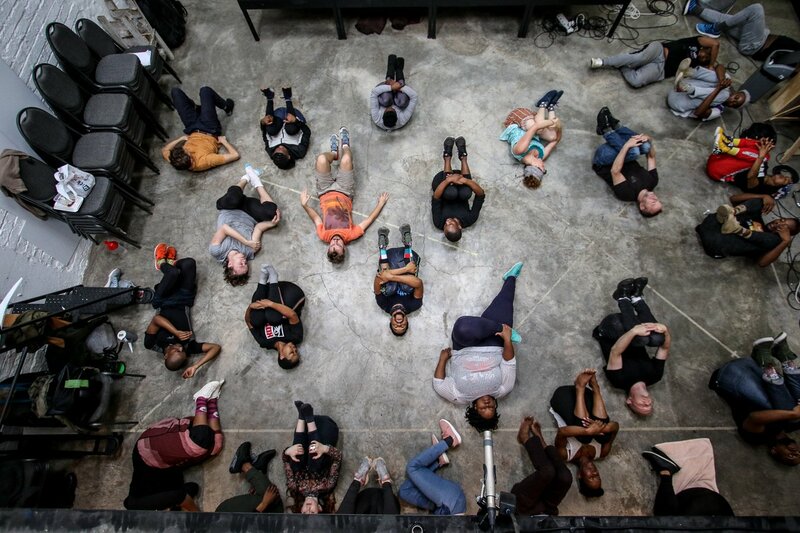 The programme closes with Plunge Avatar which brings together the written word and physical performance to investigate the relationships between the body, gravity and the mind. Themes: Traversing the landscapes of history, culture, politics, madness, and more. This programme is packed with theatrical and physical performances with actors, directors, writers and performers such as comedian Jefferson Tshabalala, actor and playwright Tony Miyambo and contemporary dancer Sonia Radebe starring. The programme opens with Escape, a tight and compelling thriller based on a man who, in the fight for justice, makes the ultimate sacrifice. In Cwaka Miyambo, Tshabala and Siyabonga Mthembu (from renowned musical collective The Brother Moves On) unpack ancestry, culture, and contemporary spirituality through hip-hop, theatrical performance and parody, while Commission Continua, uses archival texts and recordings, the voice, the body, and more to trace the purpose, history, and landscape of South Africa’s various commissions of inquiry. British-Zimbabwean singer-songwriter Netsayi Chigwendere and her long-time collaborators Ray Mupfumira and Collen Tom bring a multimedia, music-based, and Zimbabwe-centric show to the Centre that communicates various histories and lived experiences, exploring the deep shared history that exists between Zimbabwe and South Africa. 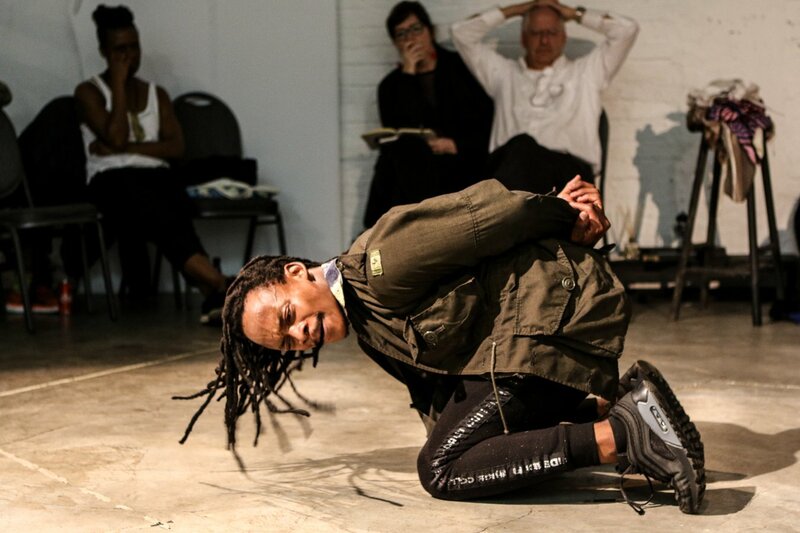 Created especially for Season 5 BAPA is a new original collaborative work by musical composer and producer Ntsika ‘Fana Mayiza’ Ngxanga, choreographer and producer Teresa Phuti Mojela, and writer and actor Billy Edward Langa. BAPA employs live music, text, and physicality to explore themes of identity, ancestry, spirituality and contemporary connectivity.